Brexit promises to shake up the way businesses operate, in the UK, the EU and beyond. To say there’s an amount of uncertainty is an understatement: nobody knows exactly what’s going to happen. The markets are headed for turbulence whatever happens: as the Italians say, siamo incasinati. The smart money’s on preparing for the worst and hoping for the best. 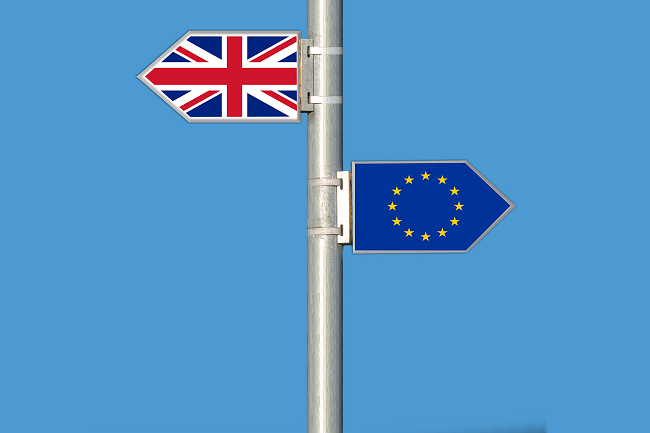 In this series, we’ll be exploring the key areas to think about in the build up to Brexit - actions and principles that will hold you in best stead no matter what. For instance: Brexit is going to bring about a substantial change in global, local and even regional markets. When market changes occur, businesses should focus even more closely on their customers. Love your customers and you’ll be best placed to weather any storm. 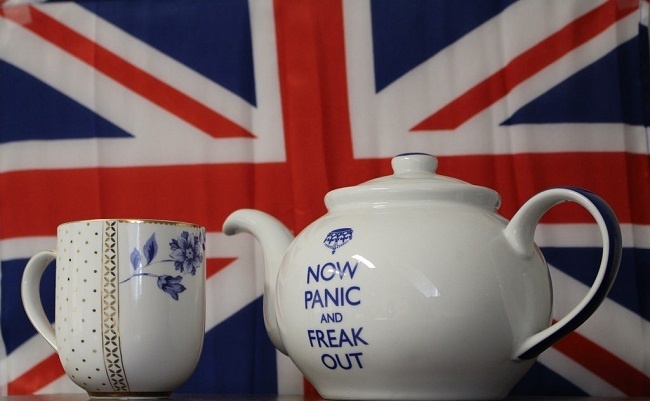 Your customers are as impacted by Brexit as you are. Figure out how their needs have been changed by Brexit, help them deal with that, and they'll love you forever. It’s all a matter of customer insight - which is, as we’ve emphasised before, the cornerstone of business operations. Businesses thrive by giving value to their customers: solutions to their problems, answers to their questions, offerings that meet their needs. Businesses that don’t put their customer needs front and centre lack guidance in their innovation: they have no idea what products or services their customers actually want. Respect for privacy: yes, you’re using customers’ data to provide content and suggest products and services to them, but they’re trusting you not to do anything else. The political process is dogged by concerns about who’s holding data and how they’re using it to target, steer and mislead voters - your business needs to be honest. Honesty and fairness: be open about your processes and, where possible, your pricing. Deliver what you promise and don’t mislead. If there’s no £350 million a week for the NHS, don’t put that on the side of a bus. Responsibility: prioritise ethics in your business practice, and take ownership of the customer experience. Look out for your customers and fix things when they go wrong. If there’s uncertainty coming up, provide certainty by having a clear, explicit plan for how you’re going to see it through. If you know what’s worrying your customers and what questions they’re asking, and you can provide clear and reassuring answers, you’ll retain their loyalty through troubled times. The main thing business leaders need to know is what their customer needs actually are. Too many assume they know their customers well, and don’t realise that demographic details, typical spend and product interest are only scratching the surface. It’s the why you need - why Brexit is a bother to these specific people, what aspects of the no-EU world concern them - and to find that, you have to ask them. Think about the campaigns before the Brexit referendum. The Leave campaign, at the time, seemed to be in tune with customer (or, in this case, electoral) concerns: EU bureaucracy, border control, and British identity and sovereignty. They put these concerns at the front and centre of their campaign, and it paid off. Since then, public opinion has turned: 2.6 million Leave voters have realigned their opinions, the priorities of the campaign have become something of a poisoned chalice. To avoid a similar fate for your own campaigning, conduct research, scrutinise your social media interactions and online reviews, and encourage feedback at and after the point of service. Those touchpoints will help you build up real insight and help you care about your customers. And don’t be afraid to move with the times - if your customers’ priorities are changing, you need to change with them. Base your marketing, branding, products and services, pricing, value proposition, sales process around what suits your target audience best. Don’t just say you put your customers first: actually do it. OLIO, co-founded by Yorkshirewoman Tessa Cook and developed with Bristol-based Simpleweb, has built its entire offering to address a specific customer need: in times of austerity with price rises predicted, nobody wants food going to waste. The OLIO platform and app organises swaps of surplus goods between neighbours and businesses in local communities, directly responding to a customer concern that retail at large has neglected. Beyond the core pain point that they’re solving, OLIO is addressing a broader concern about communities falling apart - 60% of us don’t know our neighbours well. This isn’t a new phenomenon: it’s a long term concern, a societal uncertainty that underlines our political and economic climate. OLIO encourages people to meet, greet, and help each other out, bringing communities back together and addressing deeper, often unspoken concerns that exist within their customer base. These deeper, long term concerns about the state of society are a major contributing factor to Brexit - and addressing them in this direct, positive manner, putting people and their problems and their potential to help each other first, will do more than just resolve the issues themselves. It’ll keep businesses and society on an even keel. Whether the outcome of Brexit is favourable or not, looking after your customers will ensure business success. So ask yourself this: is your business putting customers first? To find your customers’ place in your day to day operations, take our Marketing 360 today.